Welcome to 1373 Kenora Pl, a charming single-story 3BD/2BA home located on a desirable cul-de-sac! This light and bright property features a cozy brick fireplace in family room, dining area, separate living room, and breakfast area off of kitchen. Spacious master suite has patio access! Sunny backyard has covered patio, mature landscaping, and plenty of space for kids to play or just to relax! Peaceful community with NO HOA! See supp., Property has been upgraded with new AC, new copper plumbing, newer heater, newer stove in kitchen, and water heater is only 5 years old! 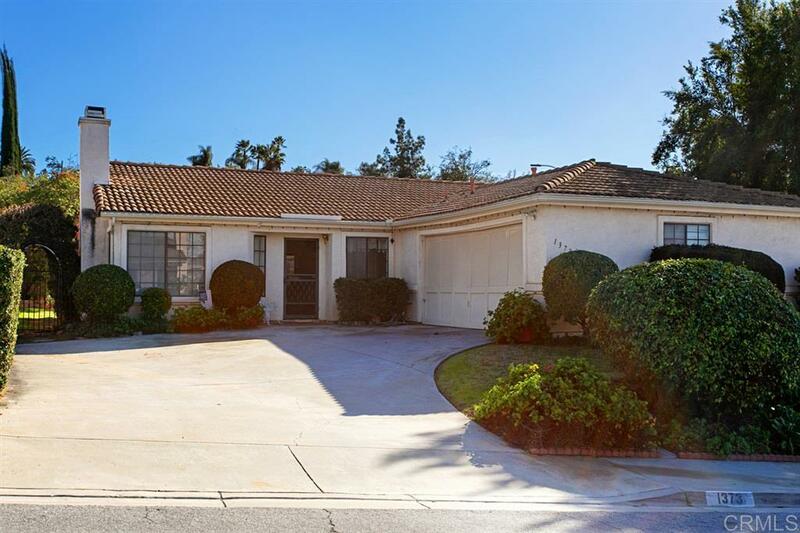 Close to freeways, shopping and Safari Park. Move in ready but also great for an investor or family who wants to make it their own.